The Latest Worldwide Meteor/Meteorite News: Louisiana Loud Boom - Mystery NOT solved / Meteor After All? Louisiana Loud Boom - Mystery NOT solved / Meteor After All? X-37B Returns Safely / Louisiana X-37B Loud Boom - Mystery NOT Solved / Meteor Again? reduction, experimentation and concept of operations development for reusable space vehicle technologies. The Air Force is preparing to launch the fourth X-37B mission from Cape Canaveral Air Force Station in 2015. SECRET X-37B Re-entry Path Over Shreveport, LA. 13OCT2014 -- Controlled Deceleration of the Craft Caused the Loud Boom! Convenient cloudy overcast provided cover. Since the mystery Loud Boom in the Shreveport, Louisiana area on Monday, October 13 at approximately 4:27 pm CDT, the event was felt and heard by thousands of residents in and around the city.and even over the state line into Texas some 35 miles away. At the time of the event I started getting an unusual pattern of traffic indicating an event and then queries starting coming in. I immediately set off to post about the event in hopes of capturing reports from witnesses and to break the news story ahead of the media.. Minutes later I had the event confirmed via my network. Since Shreveport has had past loud booms, one on October 15, 2012 being the most recent, it was first guessed that it might have been a munitions bunker again, but it wasn't. The Calumet plant was the next suspect because they had a prior loud boom; Calumet - negative! Pipelines, other possible factories, and the military bases no cause was found. The next likely culprit, and my favorite at the time was a bolide, a large meteor, entering and fragmenting and this hypothesis lasted about two days for me. After contacting Marc Fries, a meteor radar expert, asked him to search for possible radar debris evidence; Marc reported, "Nothing!". Meanwhile the National Weather Service, found a debris plume to the southeast of Shreveport. NWS called the artifact a debris cloud. Marc found the same artifact on the same radar 15 minutes PRIOR to the event, discounting radar debris field evidence. This started me thinking about other possibilities. Was it a re-entry craft or vehicle, and what kind? 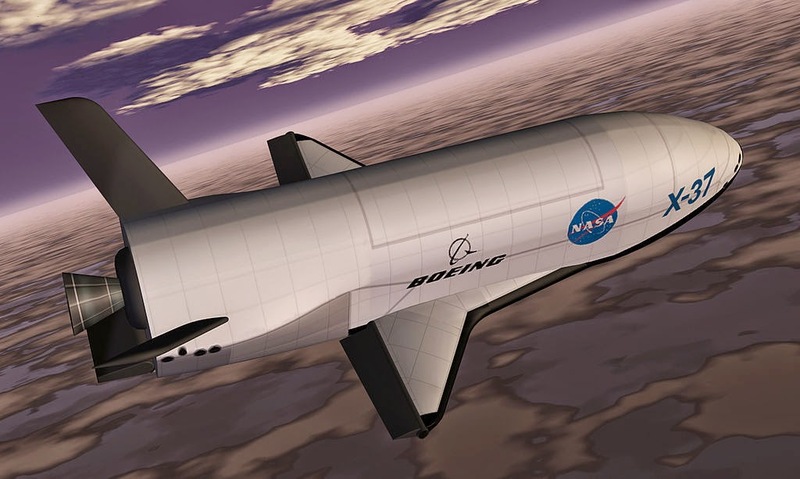 The Google Search bar quickly found the SECRET X-37B, "Space Drone", was scheduled to be back at any time soon and of course secret, but open sources gave the location as Vandenberg AFB in California, but I also found that there was talk of landing one "in the future" at KFC as a trial run. Ok, I had my possible cause, looking more deeply into the bowels of Google and an IDEA hit me; check the Columbia return path! Well I didn't just then, but I found that the Columbia had first entered over land at San Francisco, California and was to land at Kennedy Flight Center. On Google Earth, I drew a line between the two locations, the line went right over Shreveport! I found the Columbia's path on an official map, the map showed the flight path right over the Shreveport, LA area. Interesting theory but is there any proof? I'd also point out some flaws. First, Shreveport was NOT on the Columbia flight path. It was maybe 100 miles further south. Debris from Columbia hit Louisiana closer to the Fort Polk area. The radar image is still readily viewable online. But yes, when the shuttles landed at Kennedy and were not returning from the ISS, they frequently flew over northern Louisiana. I personally experienced several of these. The other discrepancies I'd point out are these: First, the shuttle made a pretty brilliant contrail as it passed. I realize it was daytime but even in the day, it looks like a decently large jet contrail. Second, cloud cover at the time of the event was decreasing rapidly over Shreveport and the rain had stopped. This is why, when I heard the boom, I immediately ruled out thunder. Finally, and I realize we aren't talking the shuttle but...in the times I watched the shuttle on it's way to Florida, the sonic boom associated it was much more faint than what was heard over the Shreveport area. I'm not sold on the meteor theory yet. But I'd certainly say the noise intensity was much closer to what was seen on the news regarding the Russian meteorite a couple years back.